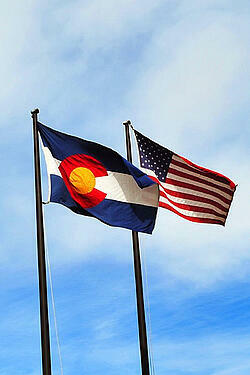 The Colorado Department of Insurance has formally repealed the 2009 Colorado Department of Insurance Bulletin No. B-4.32 regarding Health Reimbursement Arrangements (HRAs) and Small Group Health Plans. In addition, the Colorado Department of Insurance issued Final Agency Order No O-11-064 which changed the Department’s position on how HRAs can be used in Colorado to reimburse employees for individual health insurance premiums. “The Final Agency Order absolutely confirms that employers of any size may establish HRAs that reimburse for individual health insurance expenses without triggering small group health insurance regulation on the individual policies,” says Rick Lindquist, Director of Sales, for Zane Benefits, a leading software supplier of HRA platforms to employers. Zane Benefits' agent affiliate program provides free education and resource materials to help insurance agents understand the new rules. On June 24, 2009, the Colorado Department of Insurance released Bulletin No. B-4.32 regarding “Health Reimbursement Arrangements and Small Group Health Plans”. The purpose of Bulletin No. B-4.23, according to the Department of Insurance, was to “provide guidance to health carriers, insurance producers, employers with 50 or fewer employees, and employees of such employers” when implementing HRAs that could reimburse health insurance premium expenses. However, due to several inaccuracies in the Bulletin, the Bulletin had the opposite effect on the Colorado small employer market for health insurance. On June 21, 2010, CoverColorado, the state’s high risk pool, filed a Petition for Declaratory Judgment requesting that the Colorado Department of Insurance formally rule on the legality of HRAs in the small employer market. As a result, the Colorado Department of Insurance made a decision and Final Agency Order No O-11-064 was issued. Zane Benefits has worked since 2005 to educate employers, agents, and public officials regarding HRAs and tax-free individual health insurance. Zane Benefits does not sell health insurance. Zane Benefits’ employer products and services are distributed in all 50 states by independent licensed agents and other distributors of health insurance. With Zane's HRA, employers open and manage their HRA completely online via their existing payroll system, and independent licensed agents help each employee choose the best individual insurance policy for their family. Visit http://www.zanebenefits.com/agents_and_affiliates for more information on Zane Benefits programs for insurance agents.